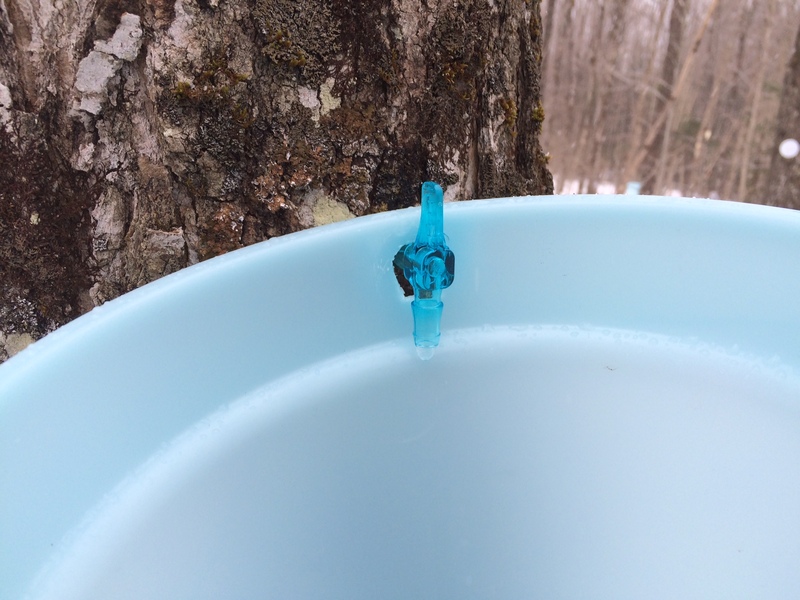 The 2019 Maple Sugaring Season is upon us! The Paul Smith’s College VIC is proud to participate in maple sugaring education at our demonstration sugaring operation. 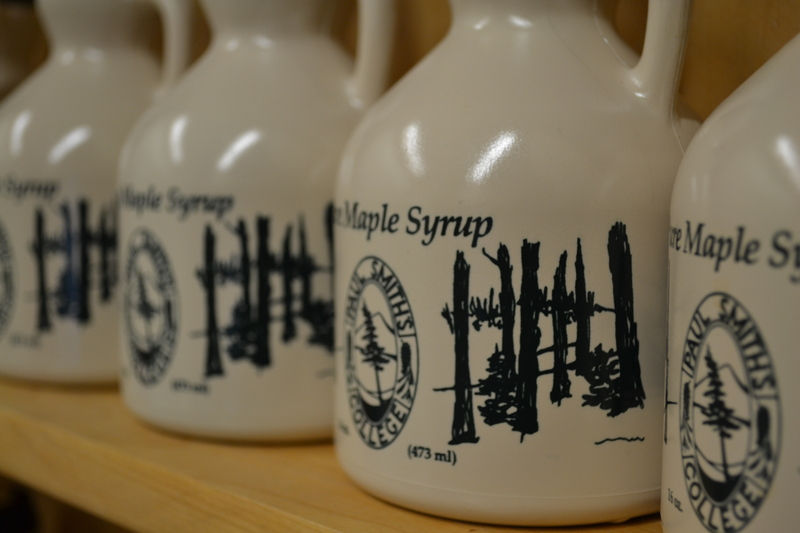 Join us for interpretive programming, or just stop by during NYS Maple Weekends to get a taste of our VIC-made syrup! You can also support VIC maple educational program through our Adopt a Maple program! Explore the page below to learn more about our 2019 season. Support the maple sugaring program at the VIC by adopting a Sugar Maple tree for $50. We’ll do the tapping, and you’ll be investing in the VIC’s maple production, education, and equipment. You will receive an adoption certificate with your quart of maple syrup from your tree when it’s ready! Adoption papers are available at the VIC front desk or by clicking here. Makes a great gift! 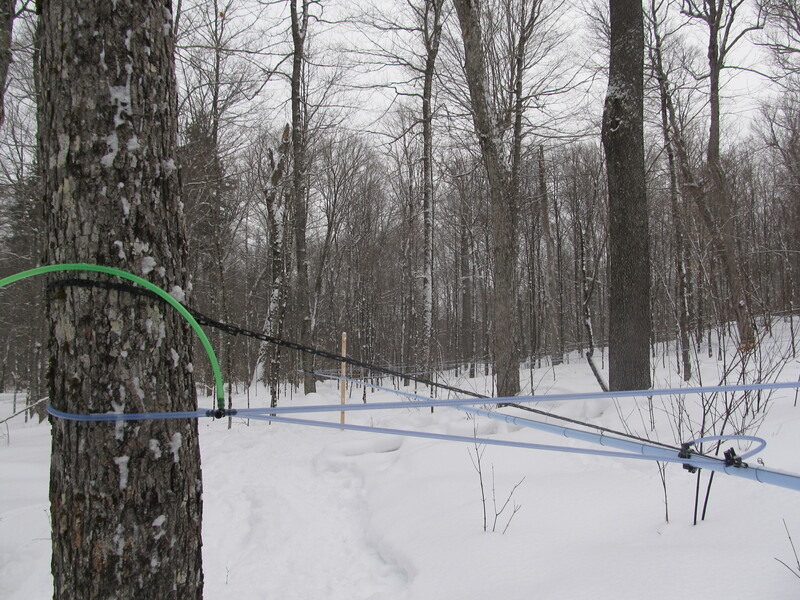 More details: The VIC is proud to be a part of New York State Maple Weekends. Stop by and say hello to our sugar shack student workers, staff, and volunteers and taste the sweetness of maple syrup made at the VIC! More details: We will be serving up a full stack of three hot pancakes and a sausage link with fresh maple syrup and real butter. Top off your breakfast with a fruit juice or coffee. Pancake Breakfast starts at 9:30 am, come hungry! Registration: Please leave a message at (518) 327-6241 with the number in your party and time you’d like to be seated, or visit our online registration to register for the pancake breakfasts. 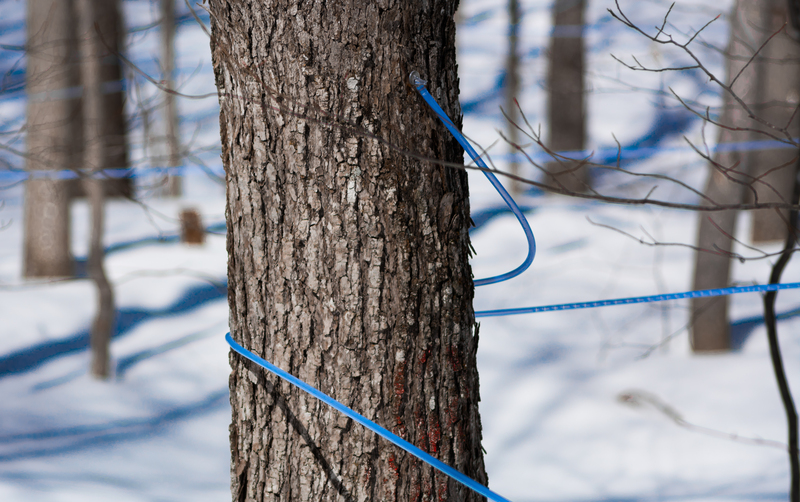 Community members can bring sap from their very own trees and get sweet syrup in return. Here’s how it works: you bring in your fresh clear sap, we measure and record the number of gallons and the sweetness, boil it and return it to you. We do an even 50-50 split, where the provider keeps half and we keep half. 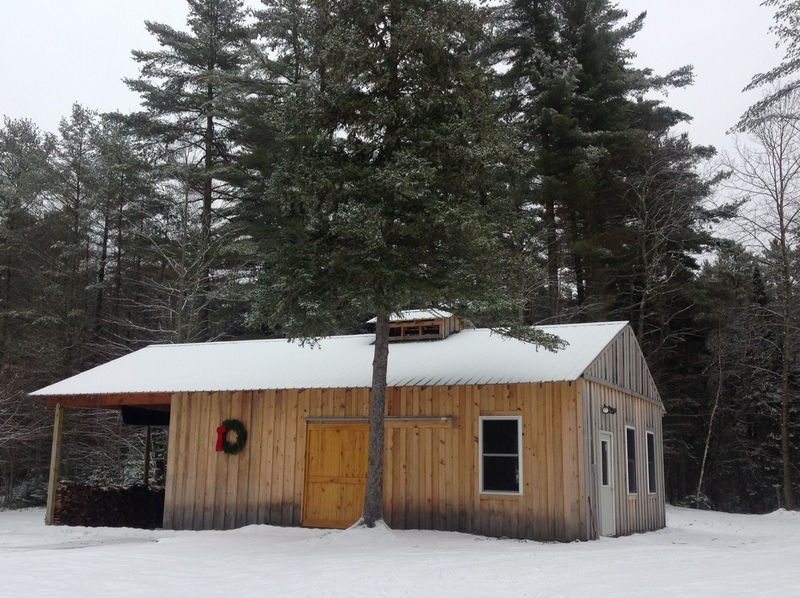 If you’d like to learn more about our community sap project and how you can get involved, swing by the sugar shack when you see steam pouring out of the cupola and smoke out the chimney. Come join in the joy of Spring. 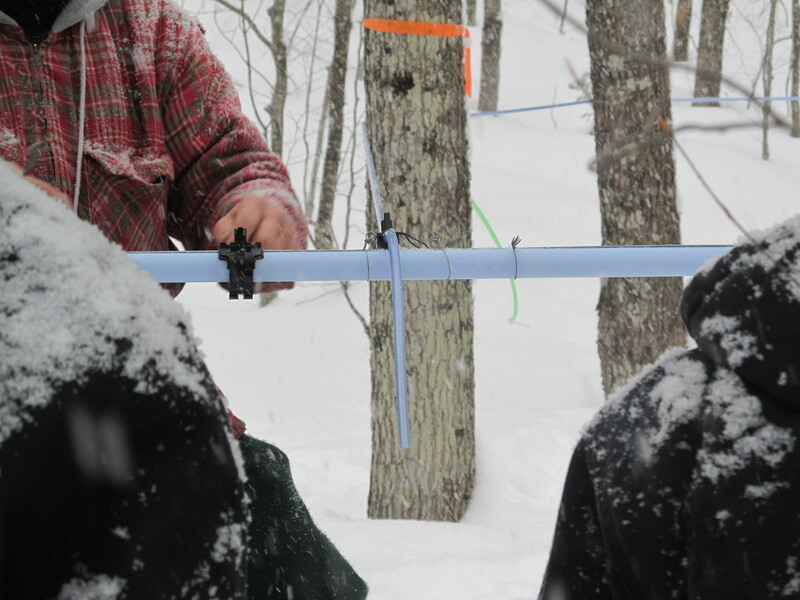 In 2013, the Paul Smith’s College VIC collaborated with Cornell Maple and The Wild Center to expand maple syrup and sugaring opportunities in northern New York. The VIC developed two demonstration sugar bushes – one with lines and one with buckets – to model what a family could do in their own back yard. 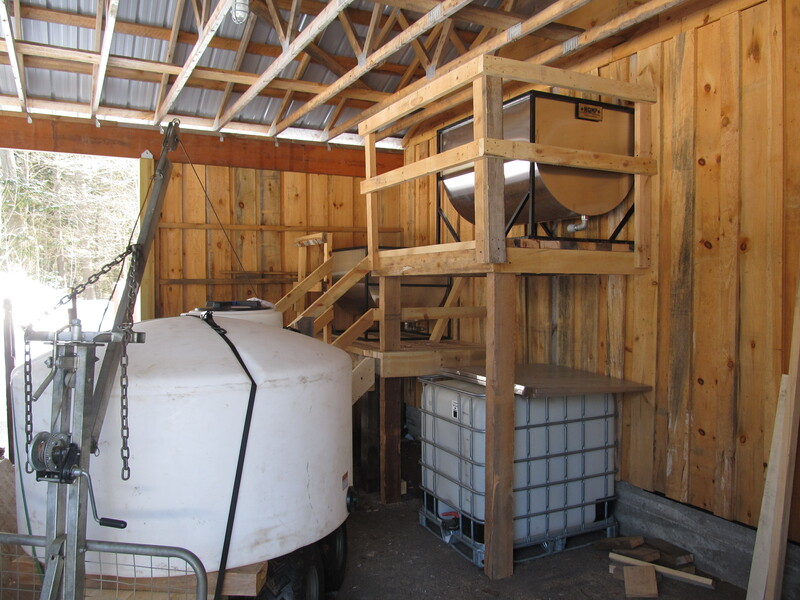 In the VIC’s first season, we used a mobile sugar shed set up near the VIC building, and in the fall of 2013, VIC staff, along with volunteers and Paul Smith’s College students, built a new VIC Sugar House. The majority of the lumber was harvested from the VIC grounds, and some was milled on site by students using the college saw mill. Maple products produced at the VIC are sold at Packbasket at the VIC, our on-site shop. 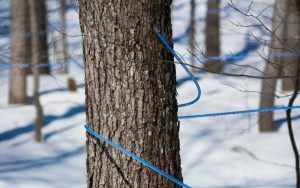 The VIC offers interpretive programs, free for the public, on maple sugaring and participates in the NYS Maple Weekends. The maple project has also been integrated into the environmental education programs for school children as well as Paul Smith’s College students, and interpretive signage is being developed for both the VIC Sugar House and the VIC Sugar Bush. We also encourage VIC neighbors to participate in our community maple sugaring program. You collect the sap, and we process it to make beautiful sweet syrup. For more information, contact us! The Paul Smith's College VIC is a non-profit educational organization committed to providing access to this 2,800-acre campus for Adirondack year-round residents, seasonal visitors, K-12 students, and the Paul Smith's College community.